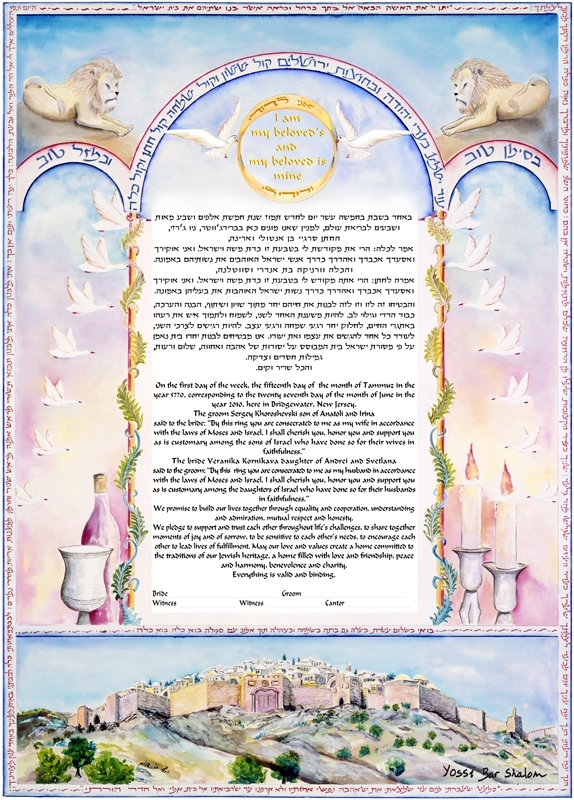 This beautiful ketubah celebrates the joy of the day and is surrounded by symbols of a life colored by the hope and heritage of the Jewish people. Yosef was born in Israel to a traditional Yemenite family. He studied at the Tel Chai Seminary and the Bezalel Academy of Art. 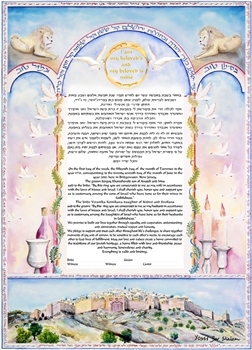 The artist's specialty is Judaica and the inspiration for his creations are Jewish religious and philosophical sources. Yosef's works are unique in his use of different media such as parchment, gold leaf and 3-dimensional illustrations.